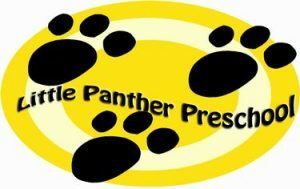 The Little Panther Preschool at Glenbard North serves as an example of quality care and education for young children as well as a teaching and training lab for high school students studying Early Childhood Education. The partnership between the high school students and certified preschool staff offers carefully planned and implemented learning experiences. We continuously meet the developmental needs of the children as they develop skills and face new challenges throughout the year. This program is for three, four and five-year-old (pre-kindergarten) children. Children must be potty trained. Session length and fees vary each year. All sessions will meet for 10 weeks, Tuesday, Wednesday & Thursday. Dates provided are tentative however a detailed enrollment packet will be sent to families 2-3 weeks prior to each session. Fall registration will be open from May through September. Spring registration will be open from December through February. Specific information for the upcoming session is available here. Fill out a registration form now! Registering as soon as possible is strongly recommended due to extremely limited availability. Registration for each session is done on a first-come, first-serve basis. Registration is final upon receipt of a completed registration form and the required deposit for the session. Please note space is limited to 15 children.